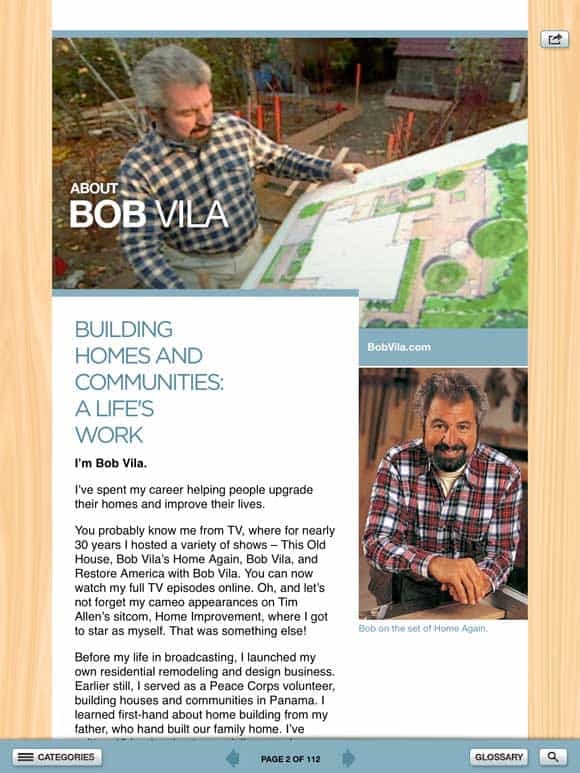 There are some apps we can just spend hours browsing through and Bob Vila’s Toolbox app is one of them. First off, for a home improvement app it’s simply gorgeous. It’s made specifically for the iPad so the photos and images are crystal clear and it’s not just a ported print piece or book. If you have any interest at all in how your home functions and how to navigate all of the tools you need to maintain it, then like me you’ll get lost in this app. On many pages there are also breakout tips and even audio from Bob himself explaining the concepts on that page. Books are great but apps like this are what make tablets and the iPad so great. Kudos to Bob Vila and his team for bringing a useful home improvement tool to the iPad and we look forward to seeing even more from them in future updates. You can buy and download the app here.